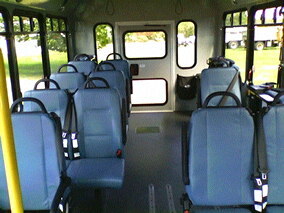 Re: the new ARBOC buses (cutaways). On Friday, Oct. 06, 2017 there were five (5) of these at Suffolk County DPW waiting to go to Suffolk Bus Corp. 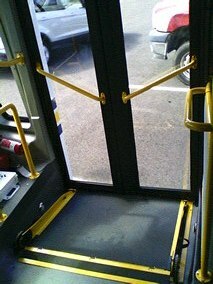 They seat 19, less two (2) wheelchair stations. Thanks for the photos Jimbo, I never realized ARBOC was Cobra backwards. I want to say that it looks like the Spirit of Mobility's that HART brought in 2015. Was #7131 one of the ones going to SBC or is that one of the ones going out east? 9913 is done. Up for auction at Copart. 5076 is OOS after being involved in an accident 7/20/15 - Possibly Retired? 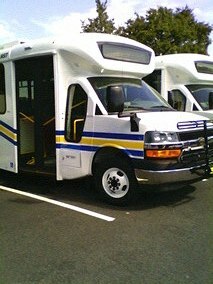 Para Transit bus 2807 is OOS with Extensive front end damage. 5058 OOS due to an accident on the LIE on 9/27/16 - Possibly Retired? 5081 is OOS due to unknown accident and maybe retired. *2947-2948 Possibly replaced by Unknown Cutaways brought for Fixed Route Service. Here is #9928 https://www.copart.com/lot/40376537. You can also see #9932 in one of the photos. ARBOC #7102 is working the 1A according to the Transloc app. Any idea what caused the retirement of 1012 and 1013? Your math is a little fuzzy. Probably made a mistake when removing the retired buses. I'll look over the list to make sure I got the right totals and make the corrections in the morning. Thanks for Catching that HART Bus. Jimbo can correct me, but I believe it would be miles. I forget if it was one of them or one of the 2005 Gilligs that was shown to have 999,999 miles on it.